I have posted several times on my love of leadcore and have even written an article about it that was published in “De Spigel” magazine, a local Dutch Carp fishing publication. So you all know that I love leadcore and have been using it for that last few years. My love of leadcore is tempered by the plain fact that it can be so dangerous if used in the wrong hands (see an upcoming article on the safe use of leadcore) and due to this some lake owners have banned it out right. Whilst I might not agree with the bans I will always respect the rules and where it is banned I will use of of two solutions, either plastic leaders or tubing. For a long time I always used the plastic leaders as they ape lead core in almost every way but recently I was tempted to try going back to tubing. 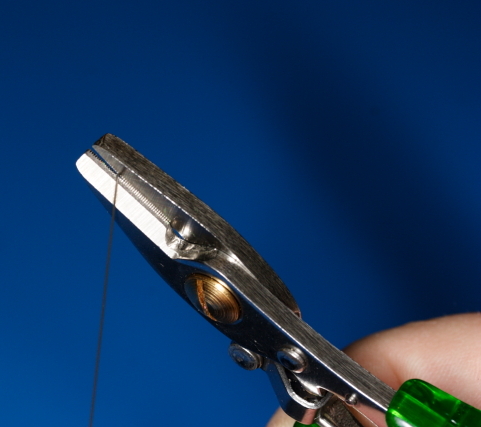 I also like to use lead clips, they are a wonderful invention and they really come into their own when distance is not the primary issue bit getting rid of the lead is. If you are fishing a weedy swim the lead clip will allow you to loose the lead should the fish embed its self into a weed bed. 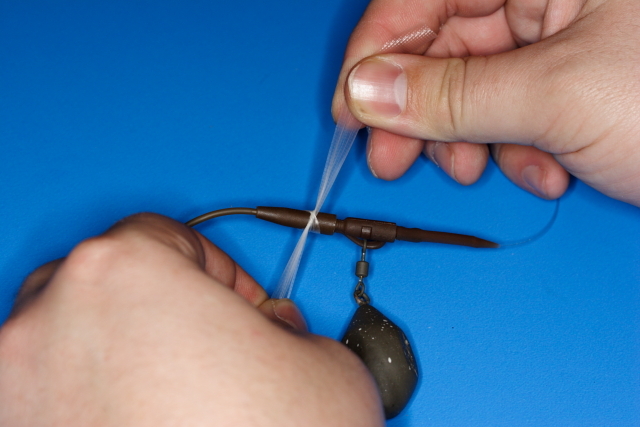 Also should you loose the fish the lead clip will alow the lead to be discharged ensuring that the carp is not trailing a heavy lead as well as the leader. 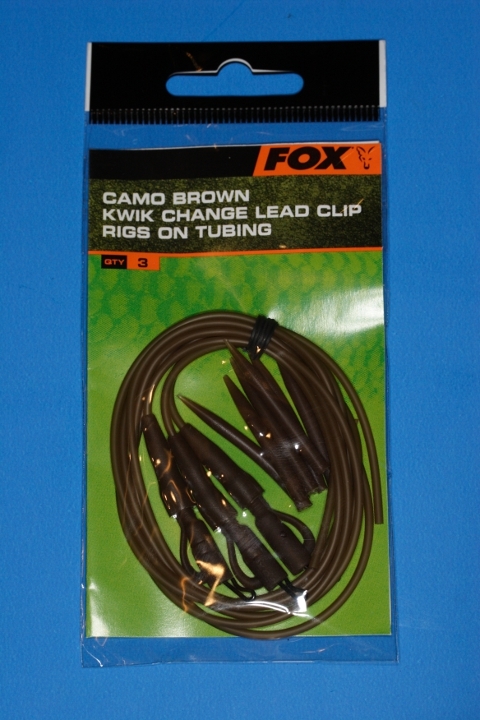 As Fox has just released a new range of tubing in several different colours I though I would give it a go and see how it can be incorporated into my fishing. So what do you get in the packet ? 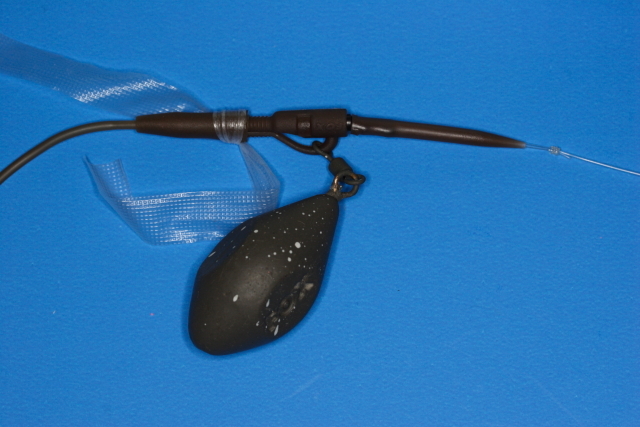 well you get 3 fully complete rigs complete with tubing, lead clip and quick change swivel as well as 6 anti tangle sleeves. Top marks to Fox for including 6 of them so that you can leave them on rigs without having to buy more. Anyway lets look at how they can be used in an effective setup. 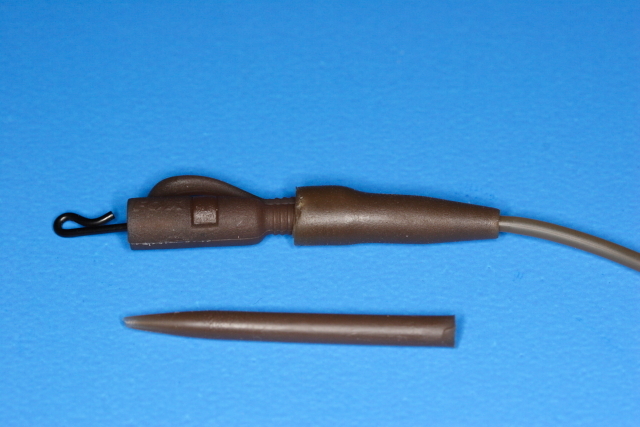 The above picture shows the “business end” of the lead clip and the anti tangle sleeve. It is worth pointing out that the tubing is only pushed into the back of the tail rubber and does not need glue. 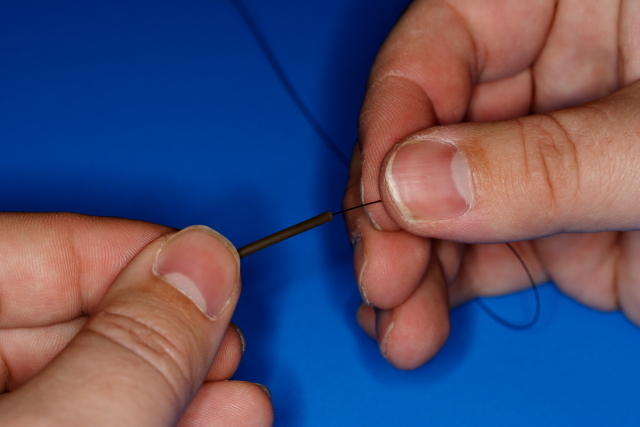 If you glue it, the rubber will become brittle and the tubing will snap ruining the rig. 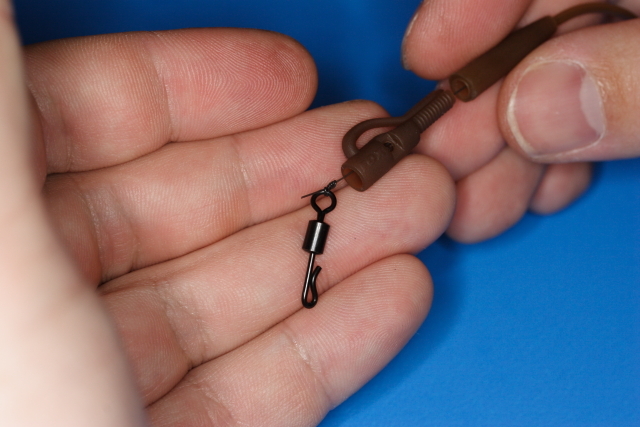 Before you can use if for the 1st time you will need to dissable it to be able to tie the mainline on to the back of the kwick change swivel. 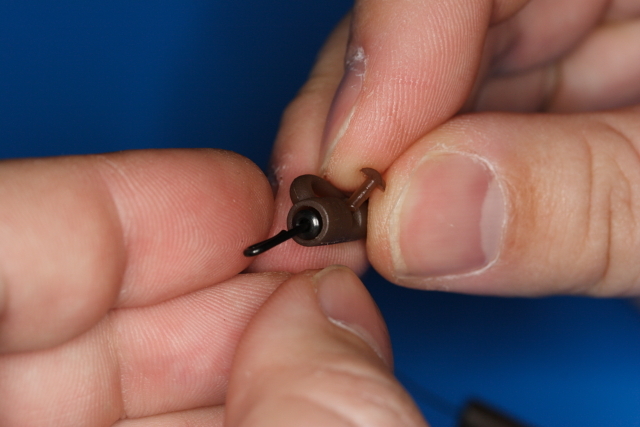 It is critical that this peg goes back in ( you will hear a little “click” when it is in properly) as if you do not then the swivel could pull out of the clip and allow the whole rig to turn into a “running lead” setup which would prevent the lead from discharging. 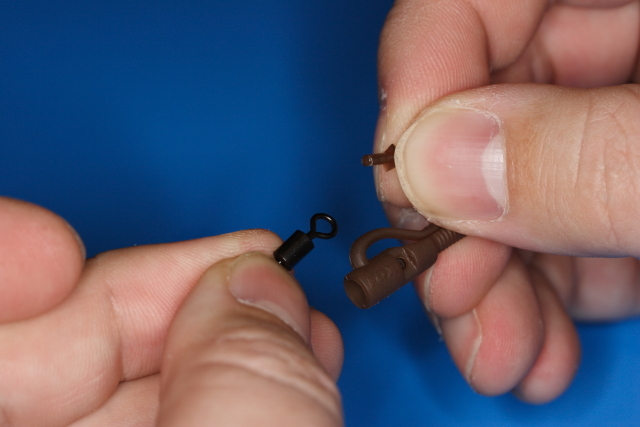 Speaking of leads to attach a lead to the clip slide it onto the bottom of the plastic lead clip “prong” and before replacing the tail rubber make sure that you moisten the back of the lead clip with saliva. 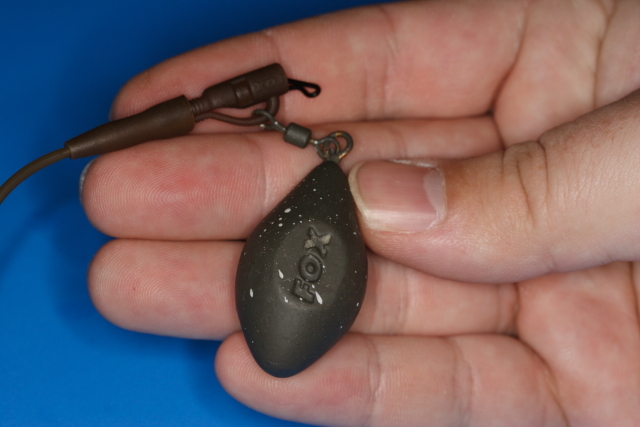 This will prevent the issue of the lead ejecting on contact with the water with a big cast whilst keeping the rig safe as the PVA will dissolve off after a few minutes in the water. For the purists amongst you, I could have trimmed the PVA but as it is going to melt off any way I normally leave it where it is. Please also note the position of the tail rubber, I have not pushed it completely on as it only needs to be be on about 5mm, any more might stop the lead ejecting when you need it. Did you like this post ? Do you want more ? Do you want me to cover other areas ? Please let me know either by posting a comment below or my mailing me using the “Contact me” section at the top. I would like to say your web site has helped me alot, in the making of my rigs. More of the same please ! 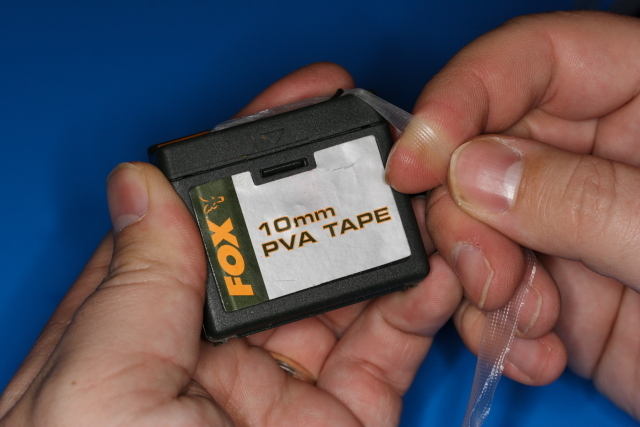 what a brilliant information web site,just bought some fox tubing with lead clips,no idea how to use them but after this info no bother.